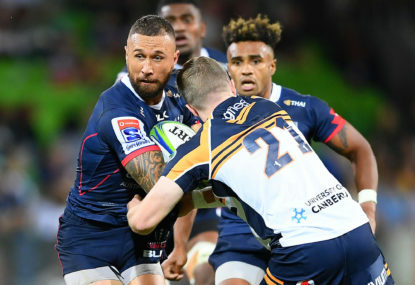 Queensland coach Phil Mooney is adamant erratic young gun Quade Cooper remains on the right track despite a dramatic Super 14 fall from grace. 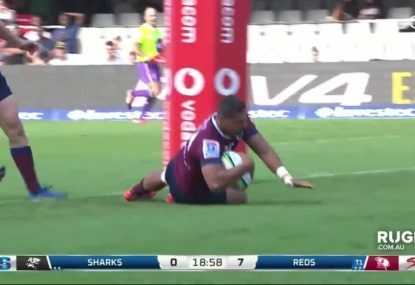 Cooper started 2009 on fire after being a revelation in the Wallabies’ spring tour but his form has turned 180 degrees as the Reds have struggled badly in the last month. 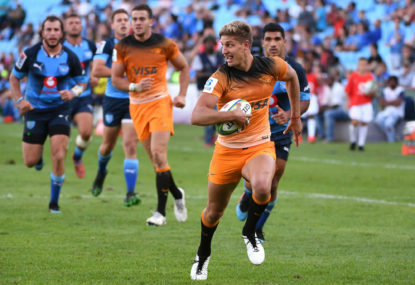 The playmaker was on Wednesday formally shifted from five-eighth to inside centre to make way for vice-captain Berrick Barnes’ return from a groin injury for the final-round match against the Hurricanes. 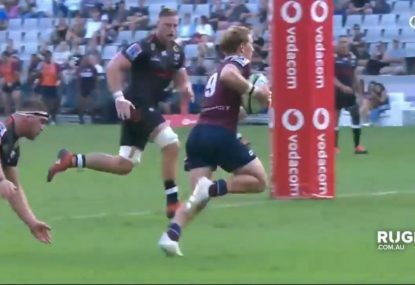 Mooney said Cooper particularly missed Barnes’ talk and guidance outside him in the successive heavy losses to the Brumbies and Crusaders where the 21-year-old was guilty of overplaying his hand. 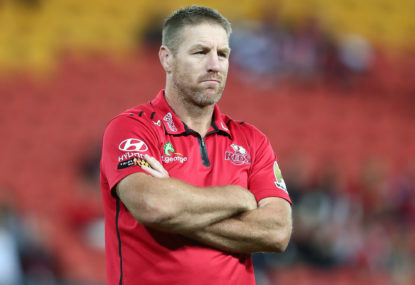 Among the criticism, former Wallabies skipper and ex-Queensland coach Andrew Slack questioned whether the talented Cooper was able to perform as a team player. Mooney leapt to Cooper’s defence and confidently predicted he would improve in much the same manner as the pivotal Barnes has in the past 12 months. “We have an extremely young backline and were asking Quade to conduct them around the field – it’s a big ask,” Mooney said. “If Quade can be accused of anything, it is probably trying to do too much and trying to do more than he probably needs to. “He just needs to learn that directing doesn’t mean taking on the roles of other players. “Things were being said of Berrick 12 months ago that he didn’t really have a handle on the game and was struggling. “Reality is, Berrick was 21 last year and hadn’t played international rugby and was still learning the game. The Reds received a major boost for Saturday night’s clash against the Hurricanes with key trio Barnes, James Horwill (foot) and Mark McLinden (knee) all cleared to return from injury. Added to the good news for the 13th-placed Reds, back-rower Ezra Taylor was selected after overcoming a knee injury. Young flanker Andrew Shaw gets a second straight start after Tasi Luafutu (broken hand) was ruled out. Queensland: Mark McLinden, Brando Va’aulu, Charlie Fetoai, Quade Cooper, Rod Davies, Berrick Barnes, Ben Lucas, Leroy Houston, Andrew Shaw, Ezra Taylor, James Horwill (capt), Van Humphries, Laurie Weeks, Sean Hardman, Ben Daley. Res: Saia Faingaa, Greg Holmes, Adam Byrnes, Scott Higginbotham, Richard Kingi, Anthony Faingaa, Anthony Sauer. 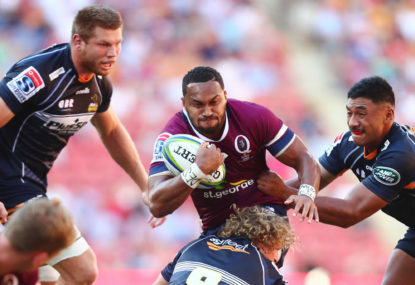 Queensland will head to South Africa with wind in their sails after a 24-12 Super Rugby defeat of the Stormers.